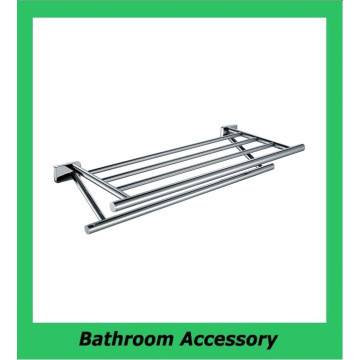 Model19013 Certification GMC CapableCE Min.Order100PCS Brand NameKegoo Brief DescriptionItem: towel rackMaterial: brassCode: 19013Finish: chromeSuit for: Five star hotel, high grade buildings and others. Suit for: Five star hotel, high grade buildings and others. Established over 10 years ago with clear objectives aimed at providing high quality bathroom accessories and 304SS pull-out kitchen faucet with state of the art design and having an attractive pricing structure.Over the years we believe these objectives have been achieved having established leading design and manufacturing contacts in China and overseas. The products are widely used in the grade hotel, commercial buildings and other projects.Through predicting the needs of the market and innovation, SUNSUN continually provide the most comprehensive range of reliable, high quality, smart and stylish bathroom products. 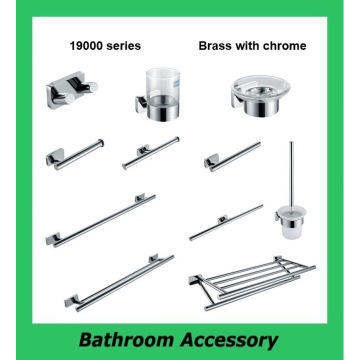 Heshan Chuangyuan Sanitary Ware Co.,Ltd specialize in bathroom accessory, including soap dish holder, tumbler holder, robe hook, paper holder, towel ring, towel bar etc., which have good reputation in home and abroad.We aims to making the different bathroom style. It believe the individual design can satisfy the customer’s different demandKegoo’s bathroom accessories will make life easier. For this aim, we always develop the new design. Innovation is our pursue.Bathroom innovation make difference.